With its fashion-forward trends and supermodels like the Hadid sisters headlining their shows, Fendi is a true highlight of the Milan ready-to-wear collections. The Spring-Summer 2017 collection was no exception with the Italian luxury house’s creative director Karl Lagerfeld receiving a standing ovation. Featuring modern sportswear, tailored jackets with outsize pockets, stripy trousers and scalloped sleeves, the show was described as a breath of air by fashion critics. The footwear included soft calf-high sandals, sneakers and boots, and models carried Fendi bags with colored pyramid-shaped studs and straps. Their lips were golden and their eyesheavily lined. 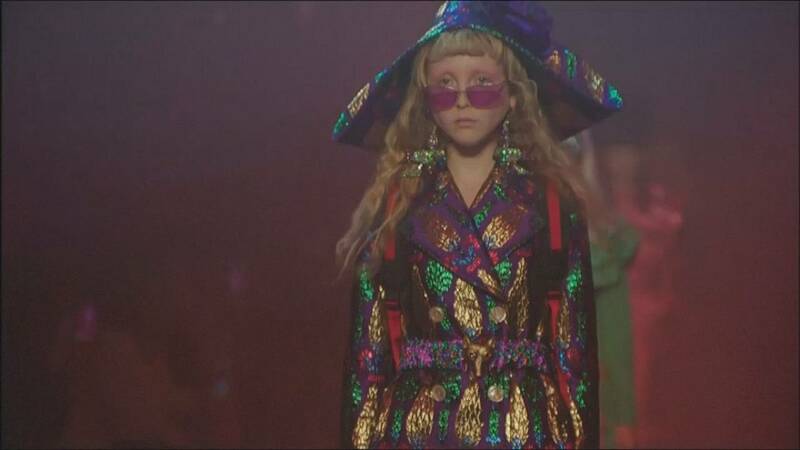 Alessandro Michele presented his womenswear collection for Gucci through a smoky, reddish light – the theatrical equivalent of rose-coloured glasses – all the better for viewing the fantasy-filled collection featuring what looked like antique dolls, styled as Victorian ladies and pretty princesses. Headgear was central and included floppy hats, bandanas and aviator hats, as well as spectacular, beehive-shaped netting. Eyewear was big, square and sequined, and competed for attention with large, shiny earrings. In his third outing for Roberto Cavalli since being made creative director last year, Norwegian designer Peter Dundas explored both his American and Norwegian roots. Stitching together a patchwork of influences that included Navajo-inspired beaded dresses and kaftans, Boho maxiskirts, and Seventies trouser suits with deep flares, the looks were worn with low-slung Western concho belts and skinny scarves. The Native American dreamcatcher was a repeating motif, appearing on shawls, prints, earrings and even ponchos. Japanese kimonos and French quilting were also thrown for good measure.